Fire in the Blood trailer v3jul12 from Fire in the Blood on Vimeo. The 2012 film Fire in the Blood depicts the battle between HIV treatment activists (for access to affordable antiretroviral medicines) and the pharmaceutical industry (for the protection of their patents and profits). 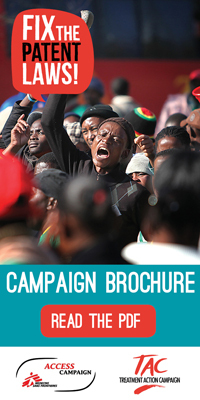 The film demonstrates the power of a sustained treatment activism in securing access to affordable 1st and 2nd line antiretroviral medicines. While the success of these activists was unprecedented, the battle for affordable medicines is far from over with many new medicines remaining unavailable to the majority of people who need them. 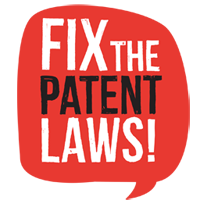 The Fix the Patent laws campaign is part of ongoing efforts by activists to ensure that private patent rights do not undermine the ability of developing countries to access these medicines.